On 1st April 2019 we celebrate our 10th anniversary. 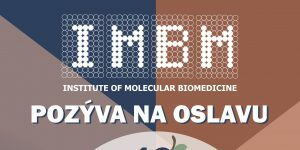 We cordially invite everybody to celebrate with us on 10th April 2019, Institute of Virology, Slovak Academy of Sciences, 12:00. You can find a poster here.